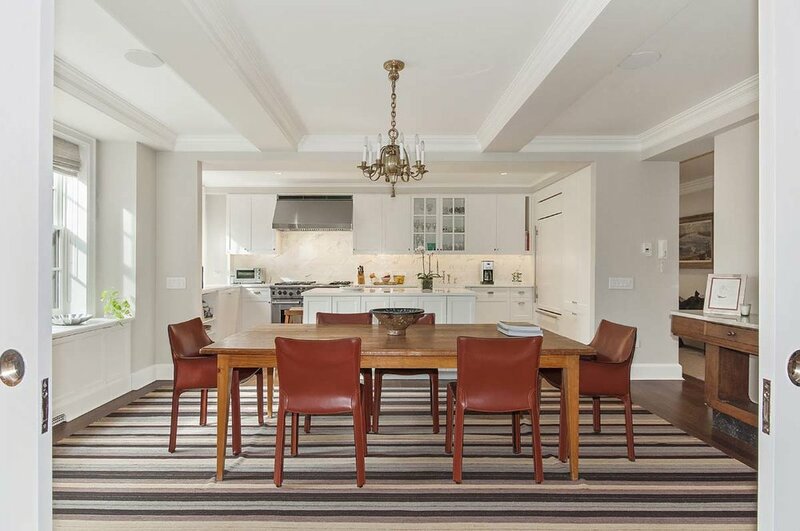 28 East 10th Street - 8E — Ann Weintraub, Ltd.
You know immediately upon entering this gracious four bedroom, three and one half bath apartment, that you are in a special home. The interior finishes were designed by Victoria Hagan, and the apartment was featured in the 2012 issue of House Beautiful. The "E" line at the Devonshire House is the largest apartment in this wonderful Emery Roth building, and it hardly ever comes up for sale, as there are less than a handful that exist. The huge living room and the dining room are flooded with southern light, and the open, chef's kitchen is outfitted with top of the line appliances by Wolf, Bosch, and Sub-Zero. The expansive public rooms make this a great home for entertaining. The apartment has a beautiful master bedroom with a huge, en suite bathroom with radiant heat floors, as well as three other beautifully appointed bedrooms, each with access to a bathroom. There is a Control4 home automation system allowing you to operate the televisions and music system using the remote control or your iPhone. The system also receives streaming media (music, movies & television) and there are mounted ceiling speakers in every room. There is a huge amount of built-in storage within white lacquered cabinets throughout the apartment, a washer/dryer, a private storage bin in the basement, and zoned, central air conditioning throughout. The Devonshire House is a 1928 full service, doorman building with a resident manager, fitness room, a playroom, refrigerated storage, and a professionally landscaped garden. This is truly a one-of-a-kind apartment that is waiting for a special buyer.